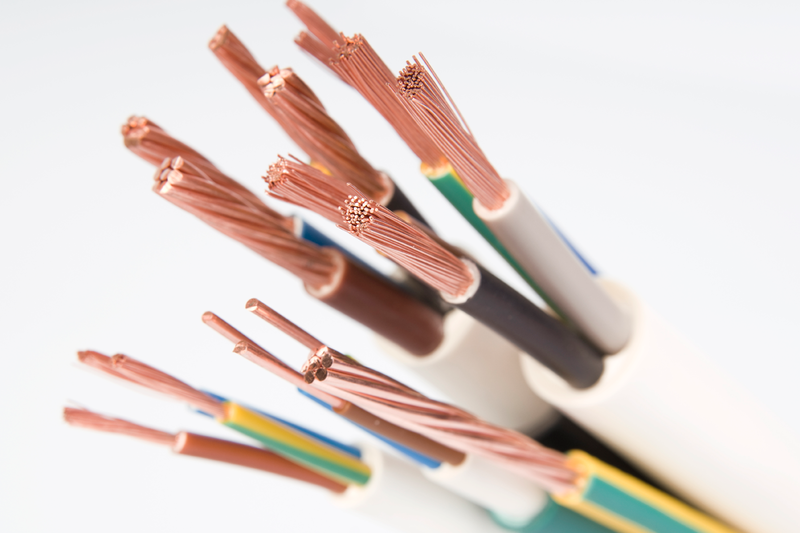 “Megacab Wires.,” are recognized as the prominent Manufacturer and Supplier of a broad assortment of Flexible Wires, House Wires, Submersible Connection Cables, Aluminum Round Cables and many more. 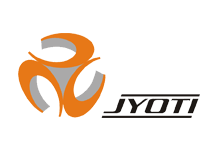 Yamuna Ind. Area, Survey No. 22, B/h. Satyanarayan Weigh Bridge, Gondal Road Highway, Village Vavdi, Rajkot - 360 004, Gujarat - India. 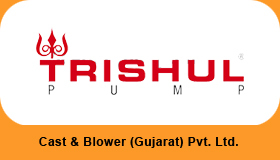 WE HAVE DEVELOPED A STATE-OF-THE-ART MANUFACTURING UNIT THAT IS SPREAD OVER A WIDE AREA. WE HAVE WIDE DISTRIBUTION NETWORK THAT HELPS US IN SUPPLYING THESE PRODUCTS WITHIN THE PREDETERMINED TIME FRAME. IN ORDER TO STORE PRODUCTS IN WELL-COORDINATED MANNER, WE HAVE A TEAM OF SKILLED STOREKEEPERS, WHICH HELPS US IN STORING THESE PRODUCTS IN UNHARMED MANNER. OUR PRODUCTION FACILITY IS WELL EQUIPPED WITH THE ULTRA-MODERN MACHINERY AND LATEST TECHNOLOGY THAT ASSISTS US IN MEETING THE LARGE-SCALE AND URGENT ORDERS OF OUR CLIENTS WITHIN THE ASSURED TIME FRAME. OUR ENTIRE PRODUCTS ARE COMPLIED IN LINE WITH INTERNATIONAL QUALITY STANDARDS, WE HAVE SET-UP A QUALITY-TESTING UNIT THAT IS MANNED BY OUR SKILLED PROFESSIONALS. 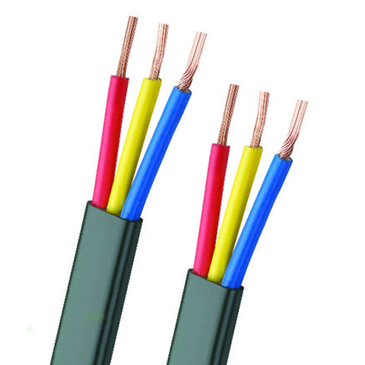 XLPE means cross-linked polyethylene or vulcanized polyethylene. 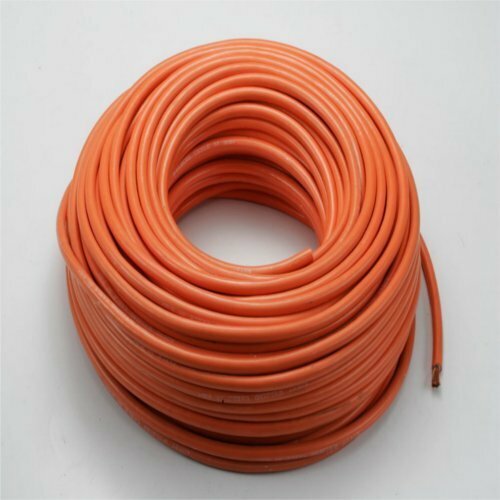 The basic material is low density polyethylene. 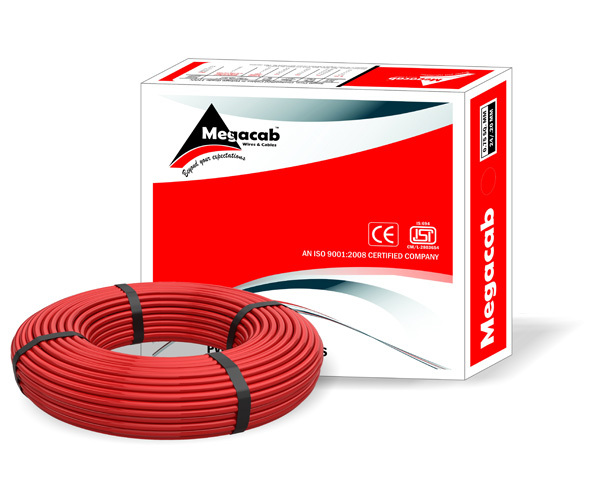 "Megacab" is one of the most preferred and trusted name in House wires. 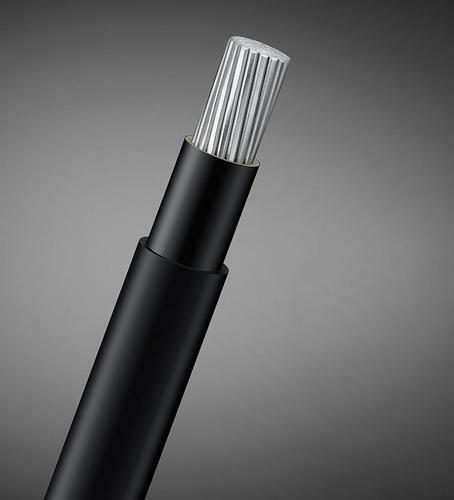 "Megacab" Submersible Pump flat Cables are manufactured by maintaining highest level of Quality Parameters. 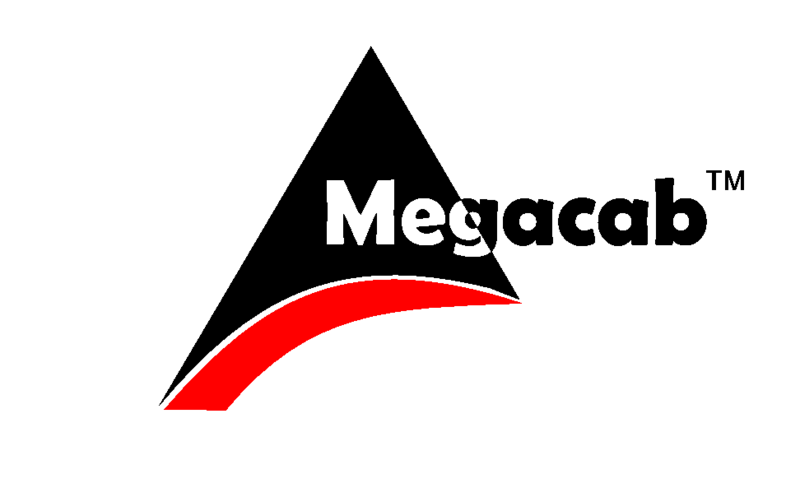 Quality standards are in-built into every "Megacab" product Rigid tests and checks at every step. 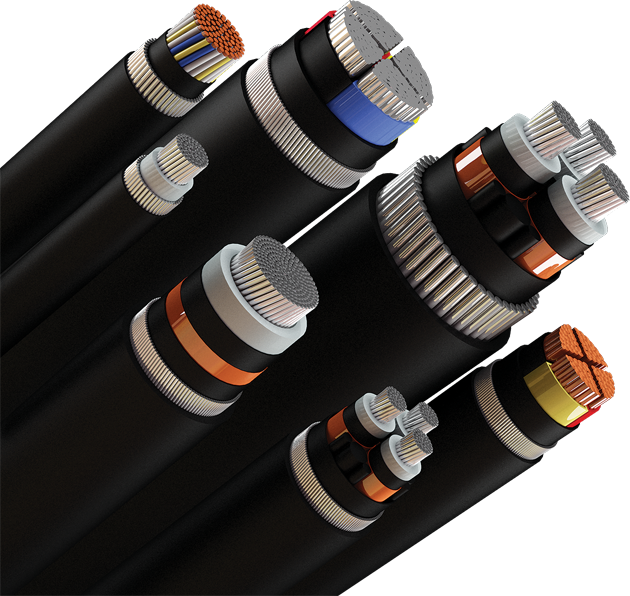 We are providing a exclusive range of unarmored 3 core and 4 core Double sheathed single solid aluminum cables. We have deployed a team of hardworking & dedicated professionals, who works together in close coordination with clients in order to meet their respective demands. 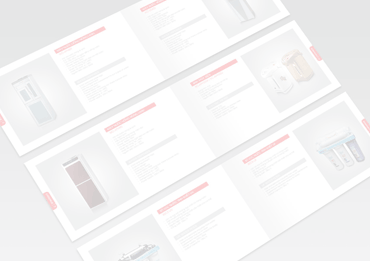 Read our latest catalog, collateral material or print advertisements for your publication. “We offer these products in various specifications in terms of size, shape and dimension in order to meet the variegated needs of the clients. Besides, clients can avail these products in customized form too as per their precise requirement at affordable prices. “Our production facility is well equipped with the ultra-modern machinery and latest technology that assists us in meeting the large-scale and urgent orders of our clients within the assured time frame. In addition, we regularly upgrade the installed equipment in order to improve the production capacity and quality. “ Due to our ethical business policies, prompt delivery, competitive prices and client-centric approach, we are constantly increasing a long list of satisfied clients across the world. © 2018 All rights reserved. By Megacab Wires. Website Designed & Developed By Reckser.